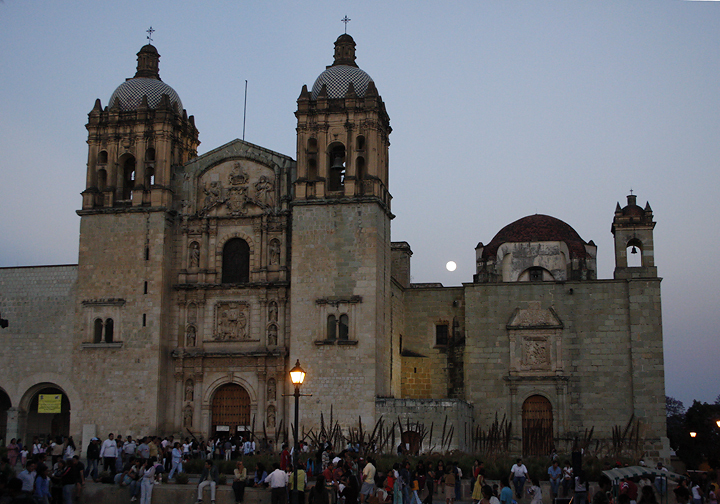 OAXACA, MEXICO: Page two of images from southern Mexico (3/15 to 3/29) with Jim Brighton, Colleen Meny, and Becky Larson. 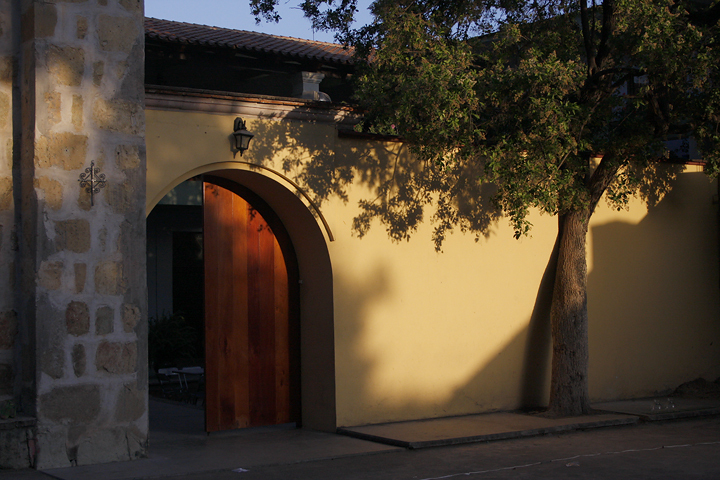 Last updated: 3/30/2008. 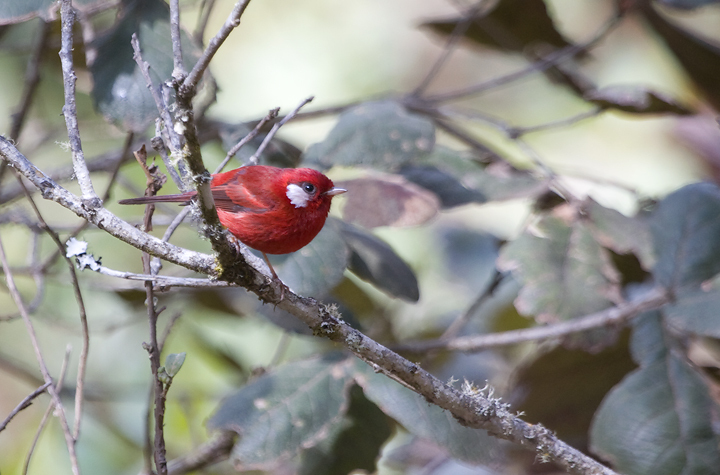 Above: A Red Warbler forages along a ridge at Cerro San Felipe (3/2008). 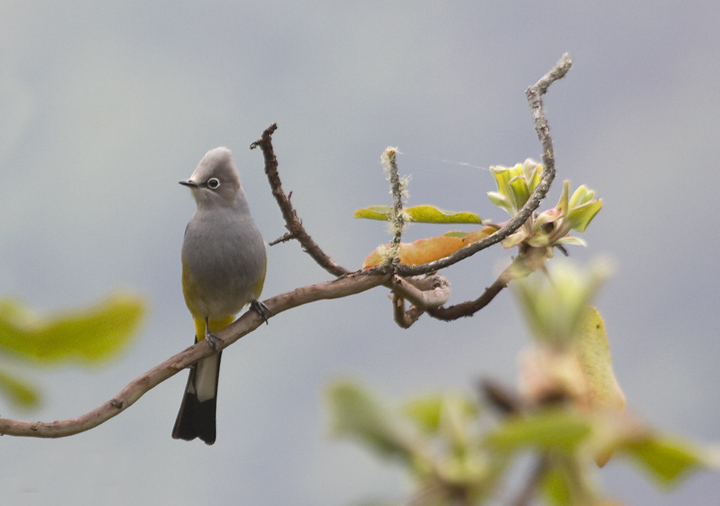 Below: The endemic Gray Silky-Flycatcher on Cerro San Felipe (3/2008). 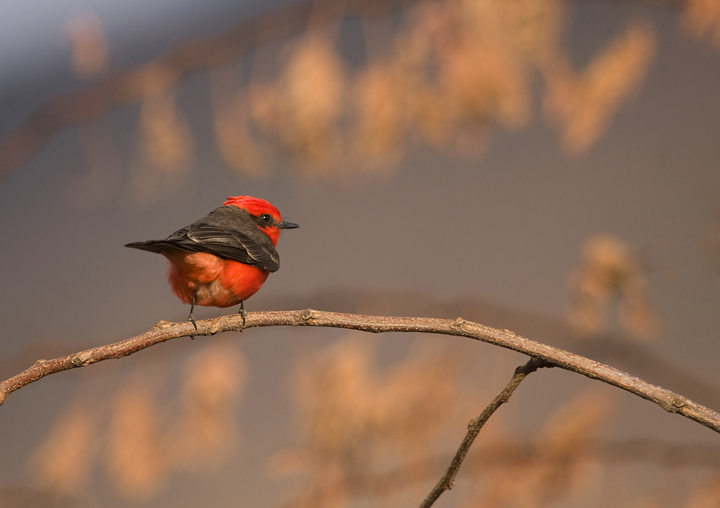 The way these flocks foraged reminded me of Cedar Waxwings. 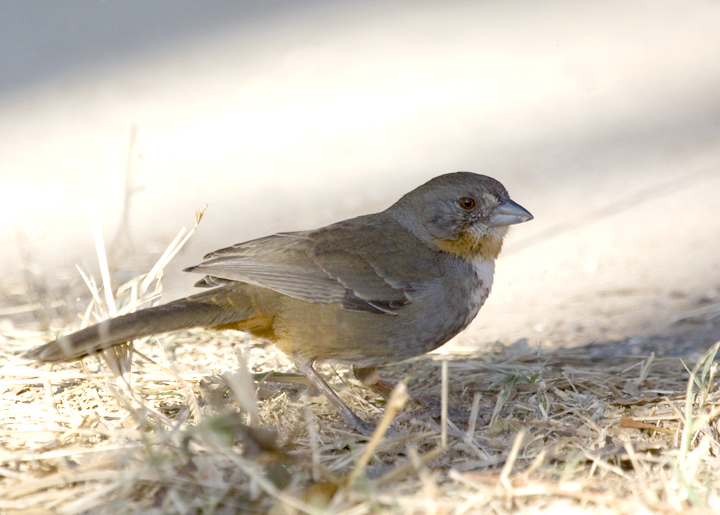 Below: White-throated Towhees, found nowhere outside of Oaxaca, are locally very common (3/2008). 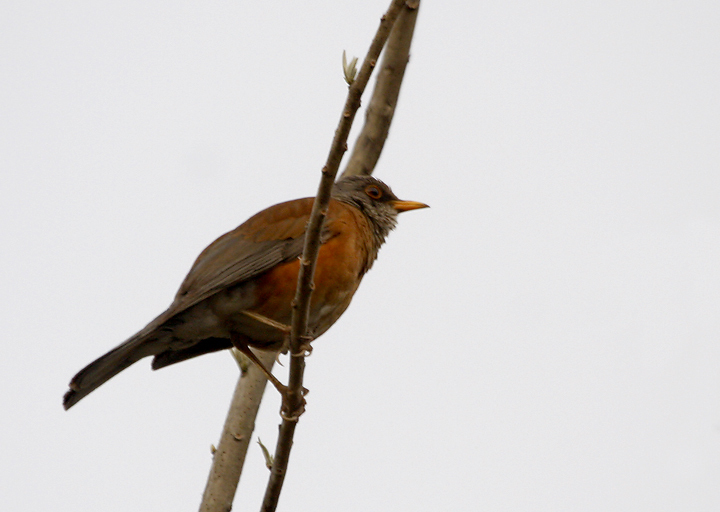 Below: A Rufous-backed Robin made several appearances outside our place north of Oaxaca (3/2008). 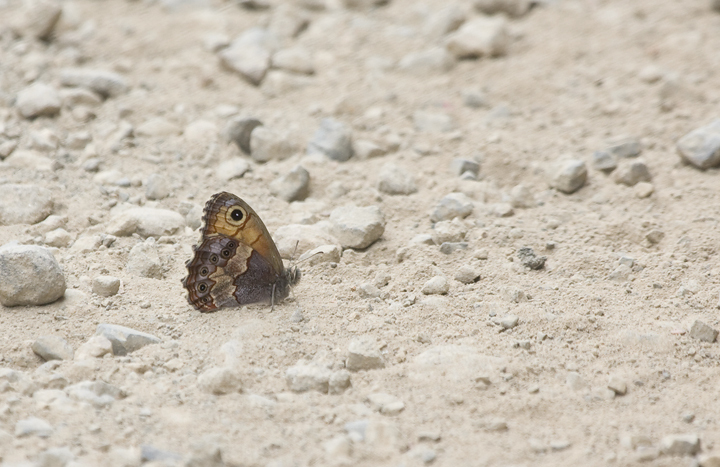 Below: A butterfly photographed at La Cumbre, Cerro San Felipe, Mexico (3/2008). 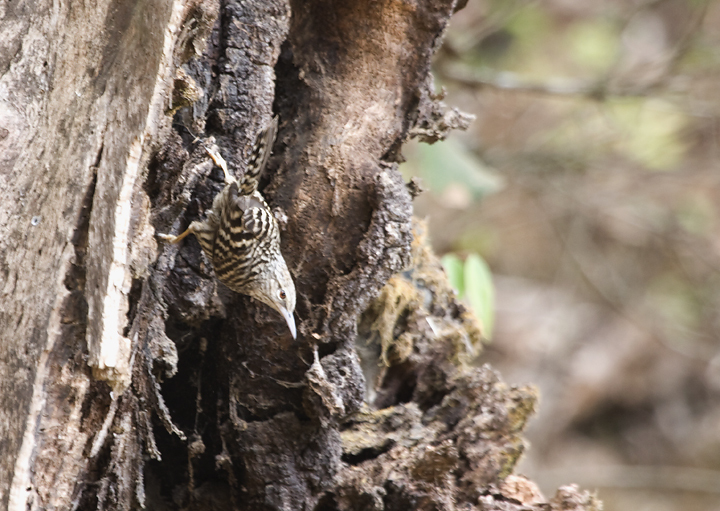 Below: A documentation photo of another great endemic--a Gray-barred Wren in the highlands of Cerro San Felipe (3/2008). 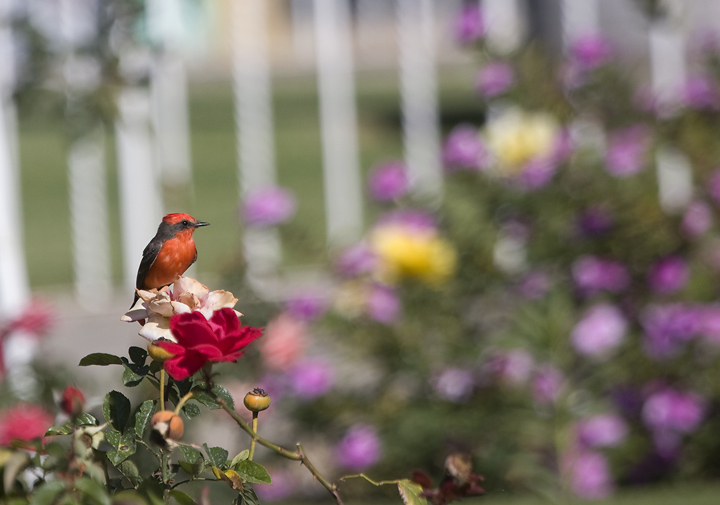 Below: Vermilion Flycatchers were wonderfully common throughout southern Mexico. 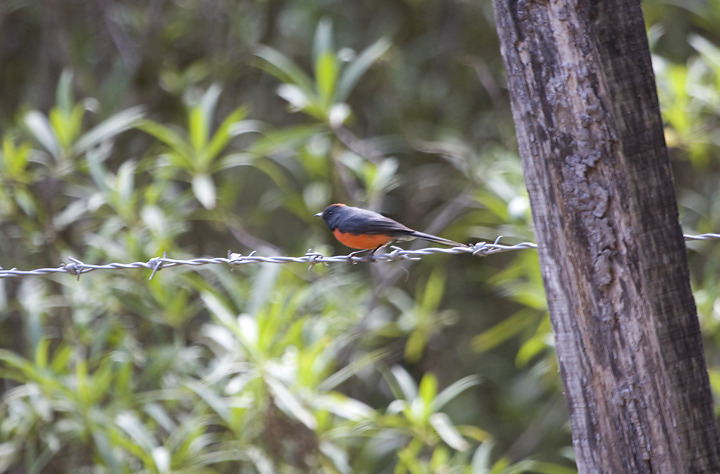 Below: A Slate-throated Redstart at Cerro San Felipe, clearly a different subspecies from those found in Costa Rica (3/2008). 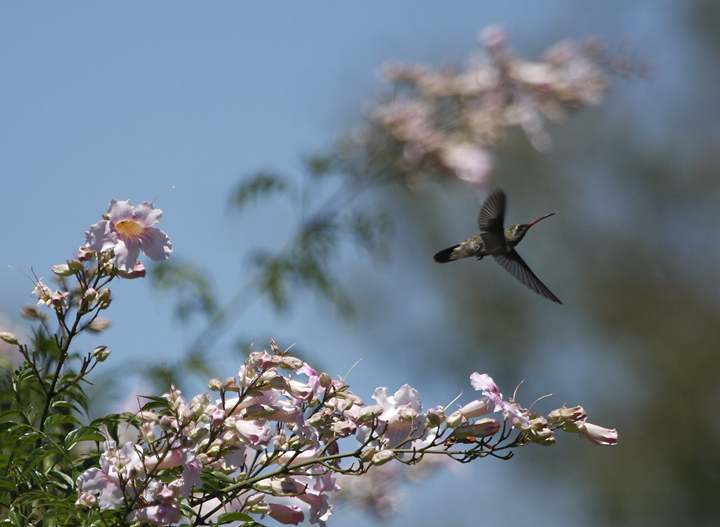 Below: A White-eared Hummingbird in the highlands at Cerro San Felipe (3/2008). 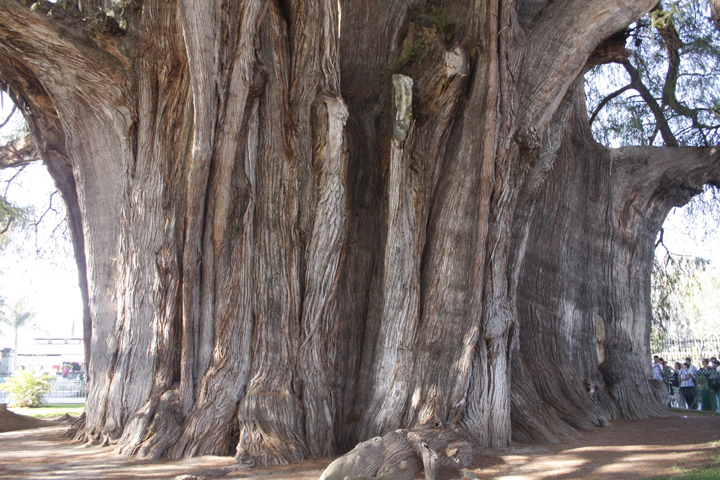 Below: El Árbol de Tule in Santa María de Tule - this Montezuma Cypress (Taxodium mucronatum) has the widest trunk of any tree in the world. 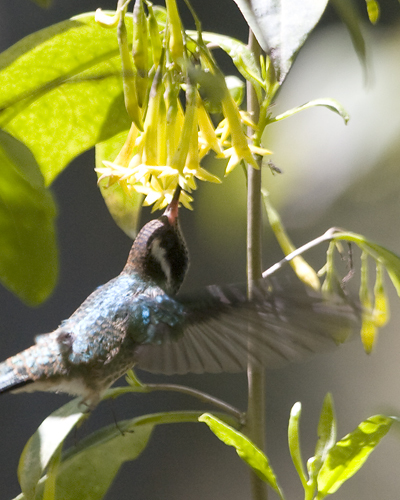 Below: A Dusky Hummingbird visits some roadside flowers near San Martin Tilcajete (3/2008). 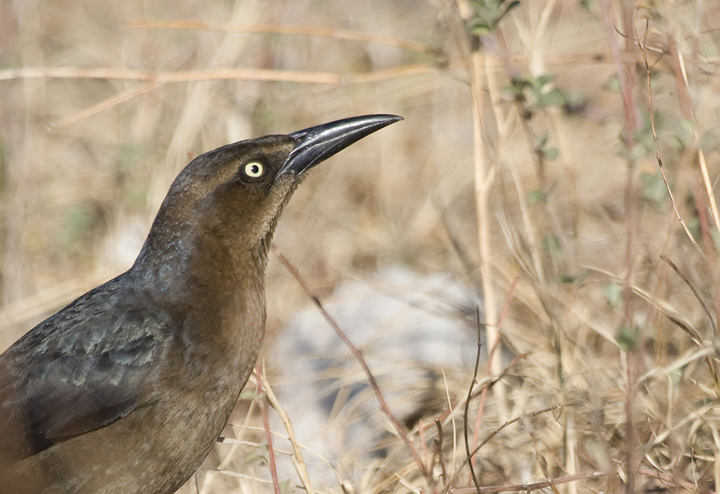 Below: A female Great-tailed Grackle near Ciudad Oaxaca (3/2008). 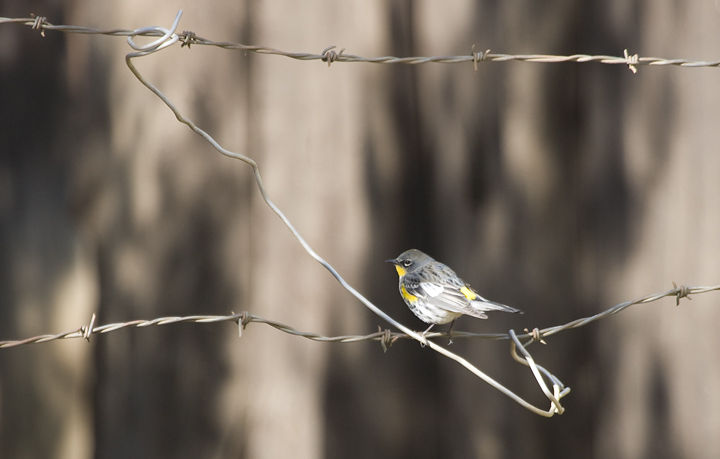 Below: Audubon's Warblers were very common on the Pacific slope of Oaxaca (3/2008). 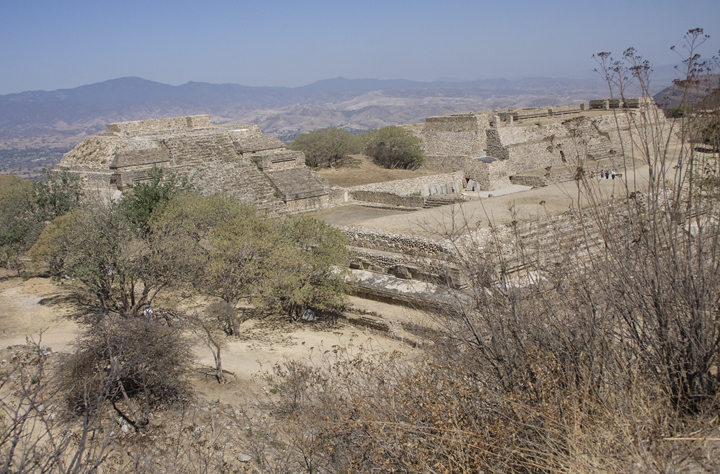 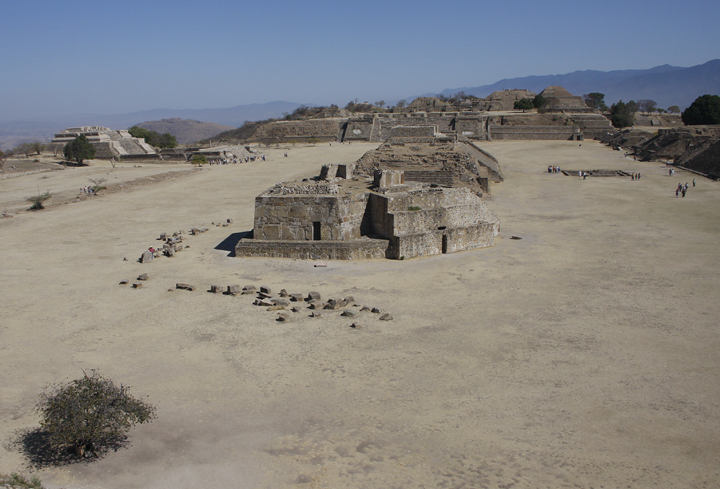 Below: The ruins of Monte Alban in the state of Oaxaca (3/2008). 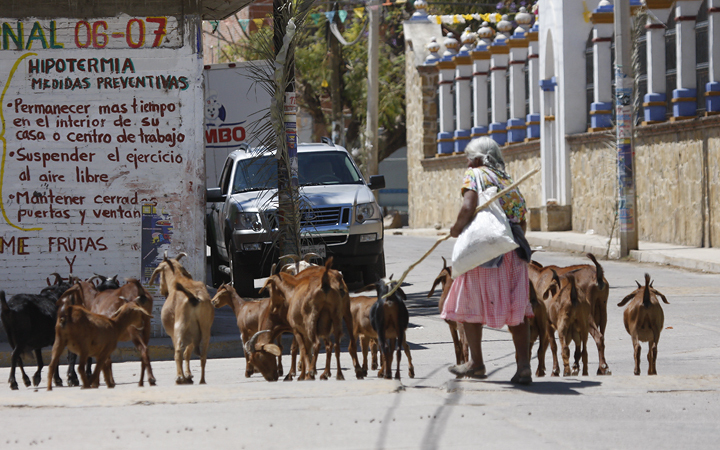 Below: A goat-herder moves her flock through San Martin Tilcajete in Oaxaca (3/2008). 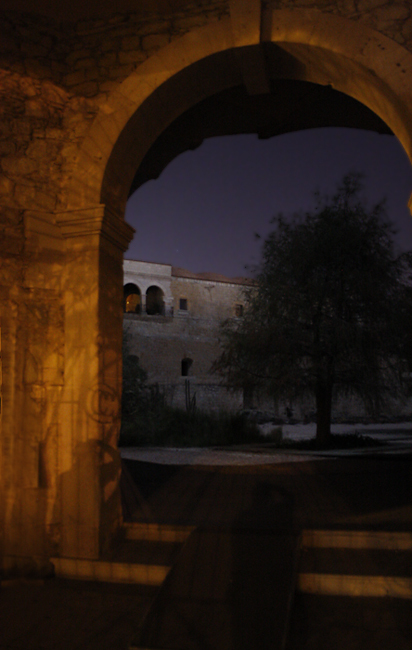 Below: This might be my favorite photo I've ever taken, which was in near total darkness.